And that’s just what it was.. So off began the 5 hour drive down to Somerset and our final destination, Minehead! Arriving around 3pm, we were excitedly greeted by a very kind lady from the New Style Chalets where we were staying. We quickly checked in and made our way round to our Lakeside Chalet. Mum and Dad had a special dedicated parking space right outside our chalet which made lugging all our heavy cases inside so much easier! I’ll never forget how I felt walking into our chalet for the first time. It just felt so exciting, fresh and clean. Our bedroom was so cool! It was beautifully decorated and we had the most amazing towel art dolphin laid on our bed waiting to greet us as we came in. There was no fighting for the best bedroom! Each bedroom was beautifully decorated and they all felt like 5 star luxury hotel rooms. I have stayed in a lot of nice hotels in my short life as we travel a lot as a family and this place was absolutely one of my favourites. 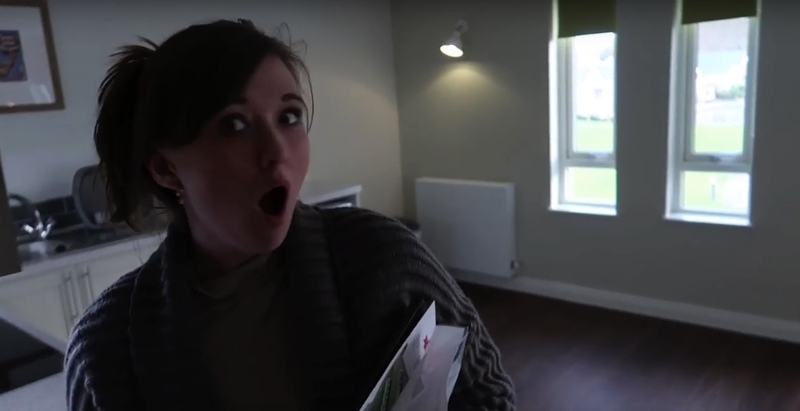 In fact you can watch mine and my siblings reactions to our beautiful new accommodation right here. 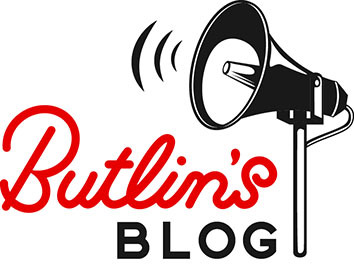 This is a link to our very first day at Butlin’s Minehead. So you can live it not only through my words but in full 1080p HD too! This is a great picture I took on my phone of my Mum’s face when she first walked into our chalet! She was so shocked at how nice it was! We had the best time ever throughout our Monday to Friday stay. One of my favourites had to be the swimming pool at Splash Waterworld! And those SLIDES! They were SO much fun! This is such a funny picture of me and my Mum on the slides! My face is hilarious! We spent so much time in the pool. They had the best lazy river ever! Oh and not forgetting the wave pool too! Check out the video we did from the pool. It was such an amazing day! This resort not only had amazing and fun things to do everywhere inside the resort., but it was also situated right on the beach. And it was such a beautiful, breath taking beach! Now let’s not forget about the food! Trust me when I say you will be so spoilt for choice! The food and the choice of food, especially in the buffet restaurants was outstanding. With live cooking stations where you choose the ingredients! It was just YUM YUM! We were also lucky enough to eat at their on-site American diner restaurant, The Diner! This was one of my favourite memories of our stay. 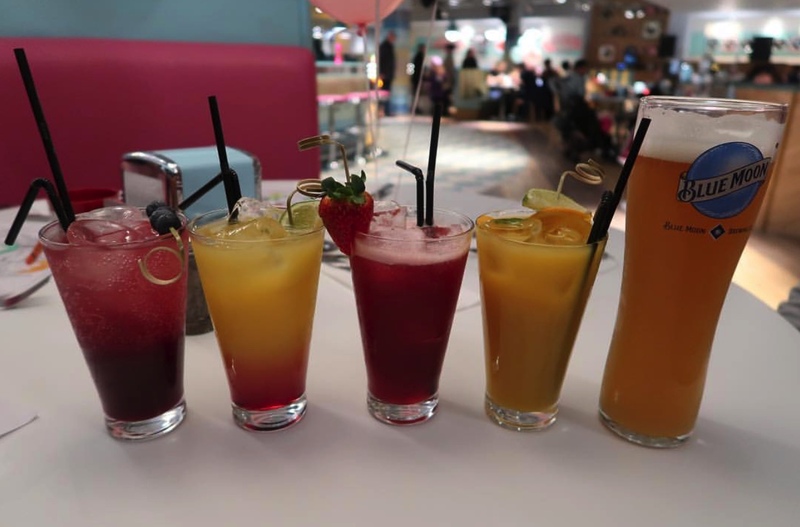 We had such a fun night there with it’s American feel and the food was SO good! These were our special non-alcoholic kids cocktails we got at The Diner. They were so fruity and gorgeous! Whether your looking for a really lazy and relaxing time or a fun-filled action-packed family adventure, there is really something for everyone here at Butlin’s Minehead. We were so sad to leave when it came to Friday. We cant wait to go back there again soon! This was one of my favourite memories from our trip. When we rented a pedal bike together and toured the resort! It was so fun! I hope you all enjoyed reading this blog post! This place was one of my favourite holiday memories I have made to date, and I cant wait until we get to go back there again! By Isabelle Ingham, aged 11. 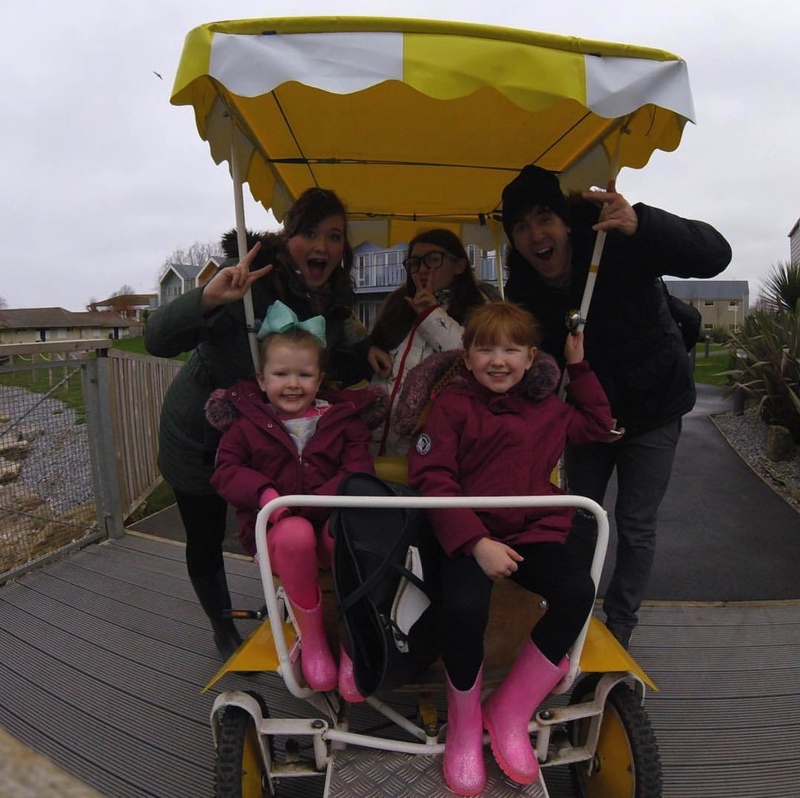 A huge thanks to Isabelle for guest blogging her experience at Butlin’s; we absolutely loved reading her story and we’re delighted that she and her family had so much fun! For more information about our breaks, head over to the Butlin’s website now! Don’t forget to let us know your favourite part of your Butlin’s break by sharing your stories and photos with us on Facebook, Twitter and Instagram.